We are providing the world’s best collection of USA style mens hair wig. We have established our expertise in men wig manufacturer industry. Owing to such proficiency, we are offering a new product in our product range that is USA style mens hair wig of different kind of people facing different hair problems. This USA style mens hair wig is very easy to use and helps men avoid embarrassment due to their bald head. 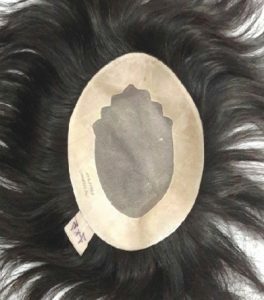 Avaniwigs offers a great collection of different types and styles of men’s toupee that can help cover different uncovered sections of the scalp in an easy method. We will help you find the most suitable mens hair wig. You will experience the best customer service at the same time. We always one-step ahead to supply the most healthy, lightweight and comfortable hair wigs. This is most superior in USA style mens hair wigs as the hair base is very soft and comfortable to use. Avani Wig has represented 100% Remy human hair, Available in different shapes & designs. This piece has a very good quality of hair and skin base system to provide you a natural look. That is why your hair will always be natural and shiny. 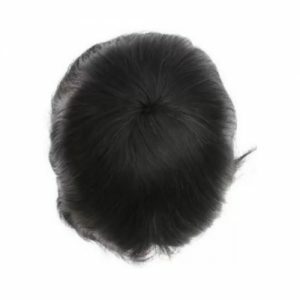 Based on the maintenance, this USA style hair wig lives for 8 to 12 months, depending on care and usage, and with clips attachment, it can last up to 1.5 years. You can be used pasting and clipping method for hair wigs. Average market saloon cost 12000-14000 per hair wig. The hair knotting is 2.1, so one hair knot would have 2 to 3 hairs. The hair quality is Remy finest quality, with freestyle. USA style hair wig hair length 4 to 6 inch. You can wash these wigs and can apply the dye, oil, serum shampoo, etc. After fixing you can do gym, yoga, swimming, etc.